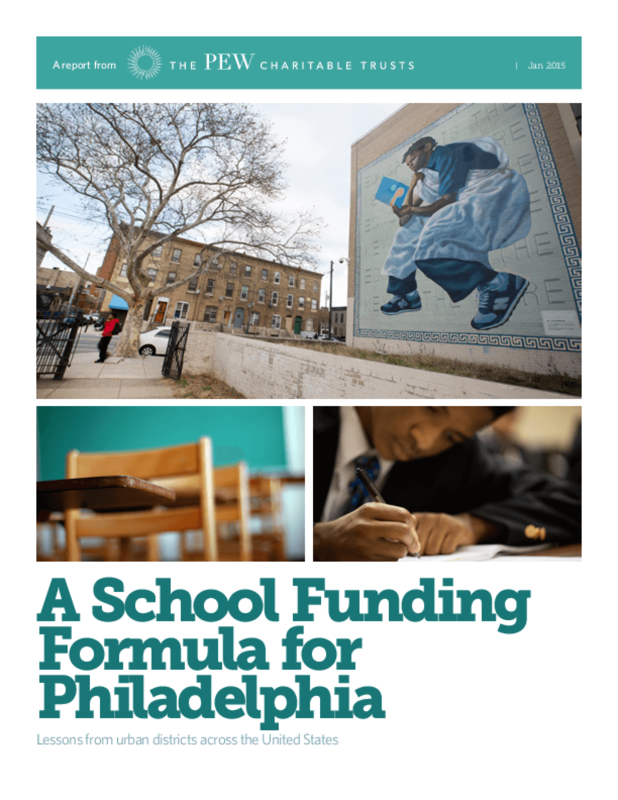 This report examines how a new, comprehensive state education funding formula, if adopted by Pennsylvania, would impact the School District of Philadelphia. After comparing Philadelphia with 10 other big city districts across the country, the analysis concludes that a state formula based on district needs, demographics, and ability to pay -- such as those used in most states -- would not necessarily provide a substantially higher level of aid for urban districts. Equally important, the analysis finds, is the overall amount of state spending on education. According to the report, per-pupil funding for Philadelphia schools was less than that of seven of the 10 other districts studied­ -- all of which were in states with funding formulas. Copyright 2016 Pew Charitable Trusts.